shall I give you a white feather? I watched as she reached into her handbag and pulled it out, thrusting it into my hands as she sneered “Take it you … coward. Take it!“. So I did. It was a white feather. Even though that ‘exchange’ took place almost 20 years ago I still have a vivid picture of the scene in my mind. I cannot remember the woman’s name but I will always be grateful to her for the gift that she gave me that night. We were participants in an acting workshop and I was having trouble with a monologue that I was trying to deliver. I had bought a white feather to use as a prop as I told my tale but it didn’t seem to be helping. It was clear to everyone there that I just wasn’t getting inside my character – a conscientious objector who had successfully avoided going to war. In the monologue he was sharing his experience – how he had once received a white feather (a symbol of cowardice) when he was confronted by the wives of men who had gone to war and perhaps would not come home. He spoke of his frustration, of how he could not find the words to explain to the women left behind why, like their husbands and sons, he was prepared to die for what he believed in – just in a different way.I had never experienced anything like that so how could I understand how he felt? The answer my tutor said, was to practice. To practice in this sense, he says, implies something separate from the rest of your life. You practice in order to learn something, to get better, to improve yourself. And that is clearly a very useful way to think about practice. But let me ask you a question, what if we were to think about practice as a noun? How does that change things? It might be the piano, a martial art or yoga. When you have that sort of practice it is not about getting better. You do it because you love to do it – and because of that you get better. Let me say that again – is not about getting better. You do it because you love to do it – and because of that you get better. Where that leads you to is to practice regularly. Over and over again even when you seem to be getting nowhere. That is the key to real mastery whatever your path in life. My acting tutor knew that. He knew that the seeds of future progress were planted during those moments when it seemed you were getting nowhere. So he had us practice a scene. I played at walking down the street and some of the women in the class played at being wives – confronting me and then giving me the feather. The women got serious and starting swapping loud insults and observations about me before they confronted me directly. The next time they started getting in my face. Kind of pushing me around a bit because they seemed to know that I won’t push back. It’s messy and the feather gets dropped before they move away. We really didn’t seem to be getting anywhere. And that was when it happened. I am standing on the side of the road waiting to cross. Suddenly I woman I don’t know is screaming at me. I can feel her contempt. She slaps me, but it is her words that sting the most and when she has finished my face is glowing red with shame as I stand there holding a white feather she has just given me. There are no words, nothing I can say to her as she walks away. I sit on the floor in silence as the full measure of that experience hits me. So I stand, but it is a man who has received a white feather who speaks. Now I understand why. I don’t think we get enough opportunities to practice the important things, the difficult things in our lives. We need the opportunity to make it real, to try and to fail, to try again, to do it again and again and again until we develop, not just an understanding, but a kind of knowing of what it means to be in those situations and why it is we behave the way we do. And because we cannot do life alone (there are always other players in the scene with us) I don’t think we can practice it alone either. We need to have others there who are prepared to practice with us, to share the experience and to be open to the possibility that we both may learn something while we are finding our own Way. 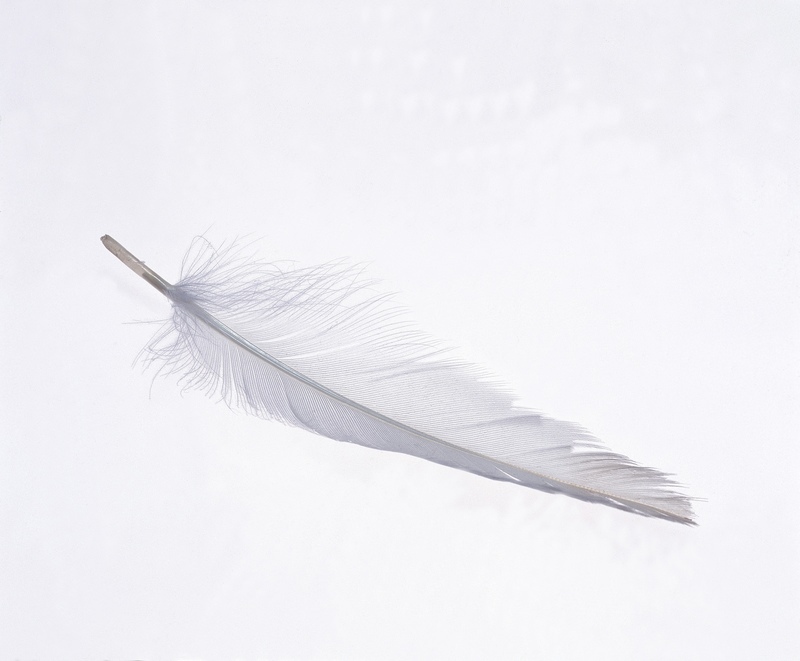 It has been a long journey since the night I received a white feather for my cowardice. It all took place in under ten minutes but it is an experience that has changed my life. It is now almost two decades on and I still have that same white feather – it was there on the bookshelf above me as I as put together the words that filled the minutes I am privileged to have shared with you today. That is my practice. That is my way of trying to make it real. My way of trying to understand why. But then maybe you already knew all of that. Maybe you practice on a regular basis? To get better, to improve yourself? I hope you are doing something you are passionate about. but that you find something that is integral to your life. Something that for you has become a way to be. ← anaesthetic for your pain? Thanks Susie. Appreciate your support. Some posts just get a life of their own and all I have to do is get out of the way. This was one of those. The fact that you still have the Feather made it even better. Thanks Craig. And thanks for leaving a comment – always appreciated! I think the NLP term for it is an “anchor”. I (and others!) have thought about getting rid of that feather but I have never been able to. so when can you offer me an opportunity to practice dying for what I believe in? I’m a believer. Next public game looks like it will be in Brisbane on 1st and 2nd of October. Just waiting to confirm venue. Open to all ages 12-112. A great way to end the school holidays!! Enter your email address to subscribe to this blog and receive notifications of new posts by email. Subscribers to my blog get discounted access to all my on-line content which I host at Udemy.com!